Thirty five years of experience in information technology, including two decades in CIO roles in large organizations, will help launch your organization to the next level of performance. Starting a new business and need some expert advice to avoid the traps? Growing an existing business, but not quite ready for the time and expense of adding another person to the executive team? Running an established business and lost your CIO? Need some help while you’re searching for a replacement? These are but a few of the many reasons you might consider an IT consulting engagement with an experienced CIO. Call or use the Contact form to arrange a no-obligation exploratory conversation. Expert systems design and development will jump-start your data acquisition and analysis. Extensive experience with embedded microprocessors will accelerate your development of intelligent devices, laboratory data acquisition, and scientific instrument control. For several years now, the “Internet of Everything” has been a prominent presence on Gartner’s (and everyone elses, for that matter) list of the top ten technology trends. Embedded systems – microprocessors, microcontrollers, sensors, and their related software – are what make the Internet of Everything a reality. Goozbazi LLC is a Commonwealth of Virginia Certified SWaM and Micro Business. Goozbazi LLC is a registered vendor with the Commonwealth of Virginia eVA Procurement Portal. Goozbazi LLC is a registered vendor with University of Virginia Procurement. 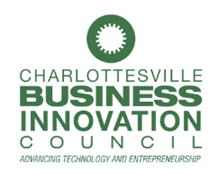 Goozbazi LLC is a member of the Charlottesville Business Innovation Council (CBIC).